Despite the Obama administrations plan to force more money to rich companies to build new reactors in the US. 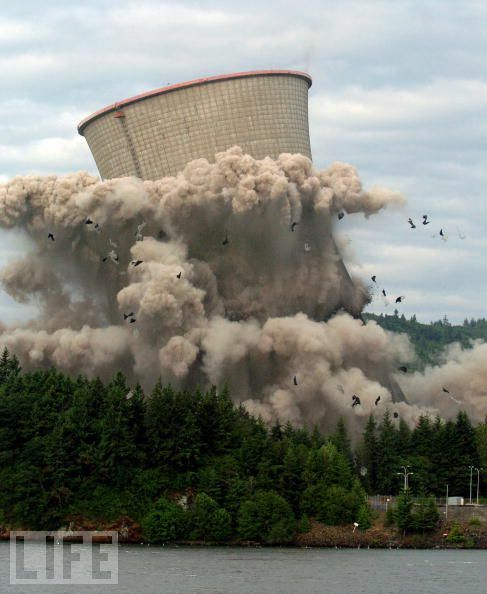 Increasingly, the prospects for the much touted “nuclear Renaissance” are fading. Yesterday, Progress Energy announced that they would delay construction of any new reactors in Florida and North Carolina until after 2020. The decision to build a new reactor here near Twin Oaks has been pushed off until 2013 at least. But the most interesting news world wide comes from sources which have not yet made the papers in the west. Lucifer reports that the Russians have just delayed construction of both new reactors and new large hydro plants because of budget problems. Honza reports that the Chinese, while charging forward with 27 reactors under construction, are reducing the number of 3rd generation plants they are building and focusing on the 2nd gen reactors which they know how to complete. So much for the Chinese miracle. Time buys opportunities to campaign, fight, lobby or what ever tactic you need. And tragically, it also increases the chances that an accident might derail the entire conversation.